the kind of creative life you want to live. 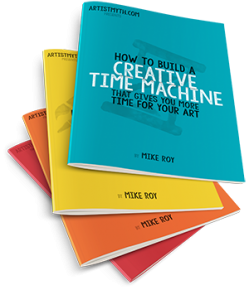 Get a FREE Artist Resource Kit when you subscribe to the Artist Myth Newsletter! Just enter your email address to sign up for the Artist Myth Newsletter! Note: We hate spam and promise to keep your email address safe.